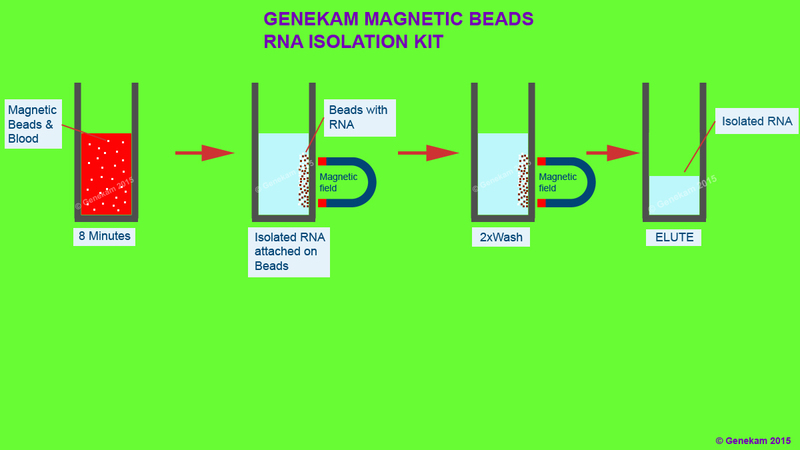 Genekam Biotechnology AG has started developing different magnetic beads applications for cell culture, RNA / DNA isolation, protein isolations, transfection etc in 2007. At the beginning, Genekam carries only isolation kits. Today 2019, the range of products has increased to cover different field like protein purification, cell separation, next generation genesequencing, endotoxin removal and many other applications. Genekam is working to reduce the cost and increase the output with magnetic beads applications. 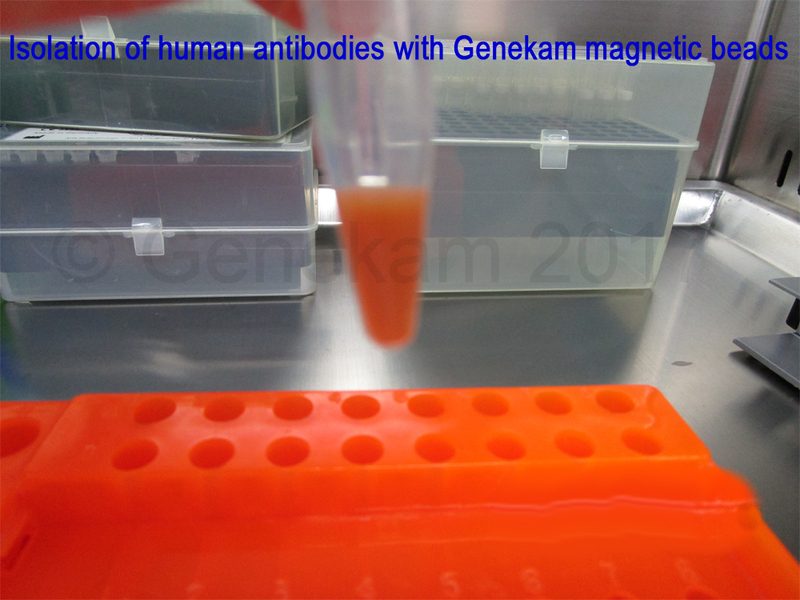 Genekam is working on development more applications of magnetic beads, which are quite innovative and not known in the literature today to solve the complex problems of virology and immunoogy. We are developing our hardware solutions e.g. magnetic separators. 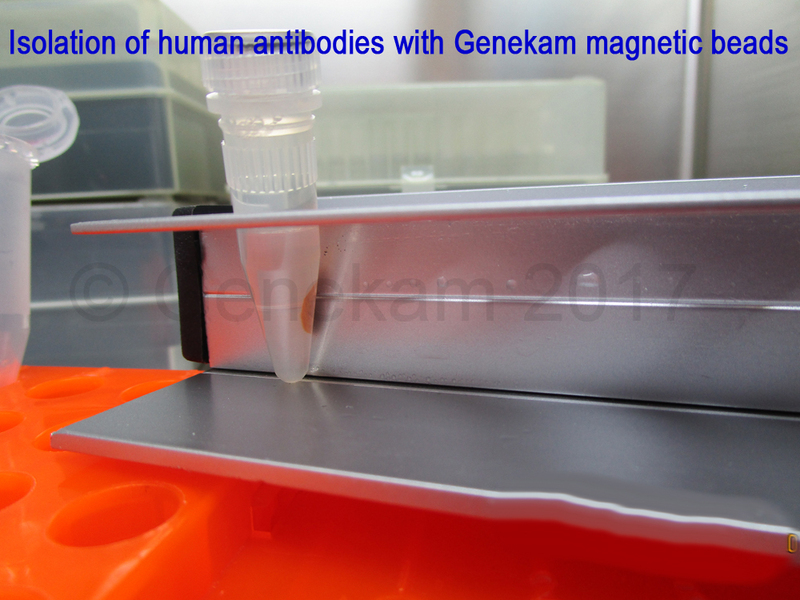 Some of the pictures of these magnetic separators are already posted on Genekam website. The magnetic beads solutions can be next generation applications to work in automatic machine. 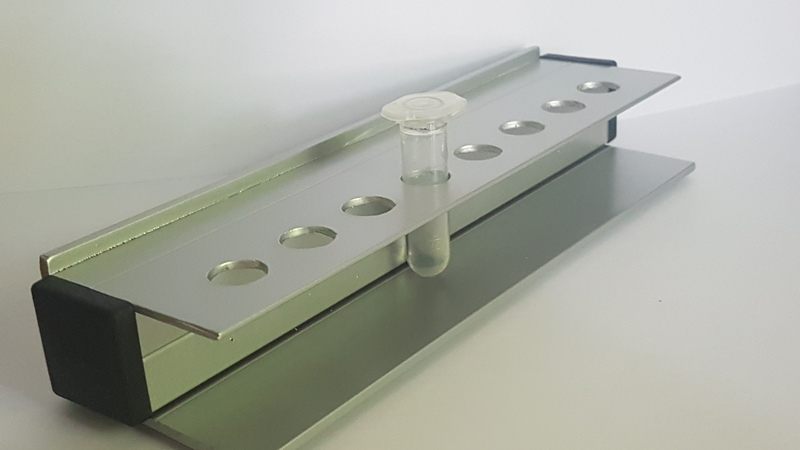 Those, who are thinking to use magnetic applications, must keep in mind that magnets in Laboratory need precautions also as many companies are selling magnetic separator without any warning on them e.g. 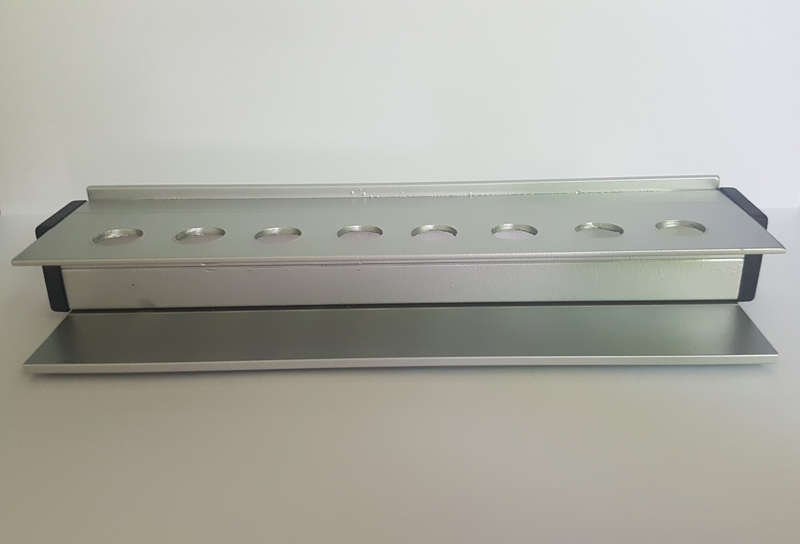 if you will touch the magnetic separator with mobile tablet or telephone, LCD may be destroyed and this can happen during taking the photo of such separators, if you are too close to magnet field with your device. Magnetic separators may interfere with the work of other instruments. Therefore it is better to make a special area in the laboratory, where one can work with magnetic separators and particles. One can visit our website to find new range of solutions. Most of kits are ready to use i.e. user can start with isolation of protein or cells immediately on arrival. Isolation of cells from blood will give more output than usual methods being used in standard laboratory. Genekam kits may help to enhence the productivity of development and manufacturing process of new therapeutic options like CAR T-cell therapies, human monoclonal antibodies, drug molecules and vaccines. 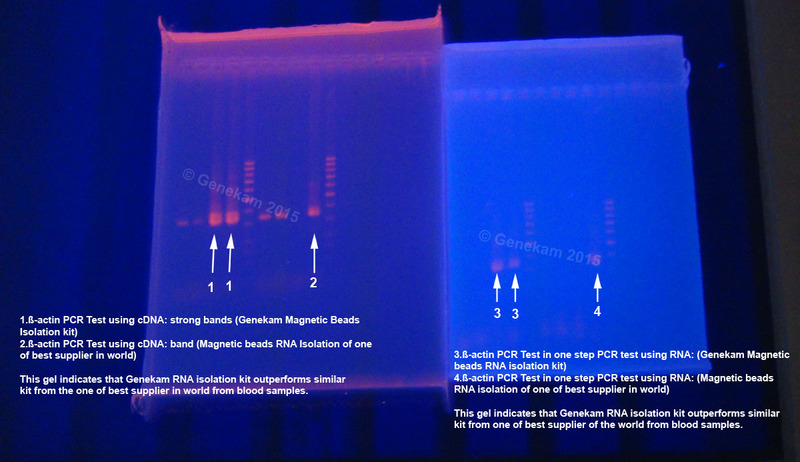 These can be used to isolate the DNA or RNA from the different sources like tissue, buccal swabs, plasma and blood. 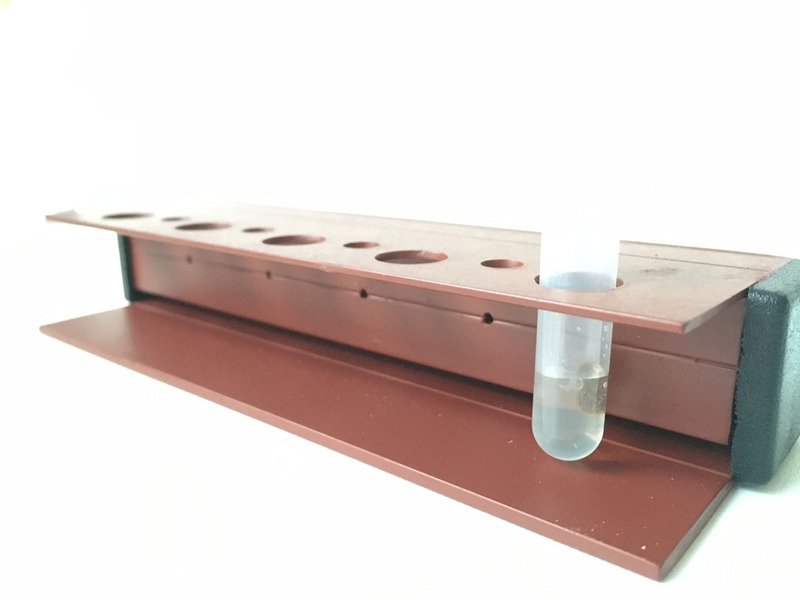 Shortly we are introducing the kits for plant DNA/RNA isolation. This can be used on blood, bone marrow and other fluid samples. Magnetic cell separation from blood: In blood, there are many cells, which can be isolated to conduct various experiments like developing new kinds of assays and cell therapies. Separation of cells can be also done through magnetic field. This method is quite simple and can be conducted in laboratories without the help of complex and expensive instruments. Therefore Genekam Biotechnology AG has developed a number of solutions to do. These are different markers being expressed on the cells, which can be used as source of isolation in order to get pure population. After the isolation, one should do various experiments like microscopic and flowcytometry examination to be sure that the quality of cells is sufficient good to go ahead with further work. The offered solutions are sterile, hence isolated cells under sterile conditions can be used for cell cultures. These isolated cells can be used for molecular and immunological analysis. This kit can be used to isolate cells from as little as 1 ml of blood. 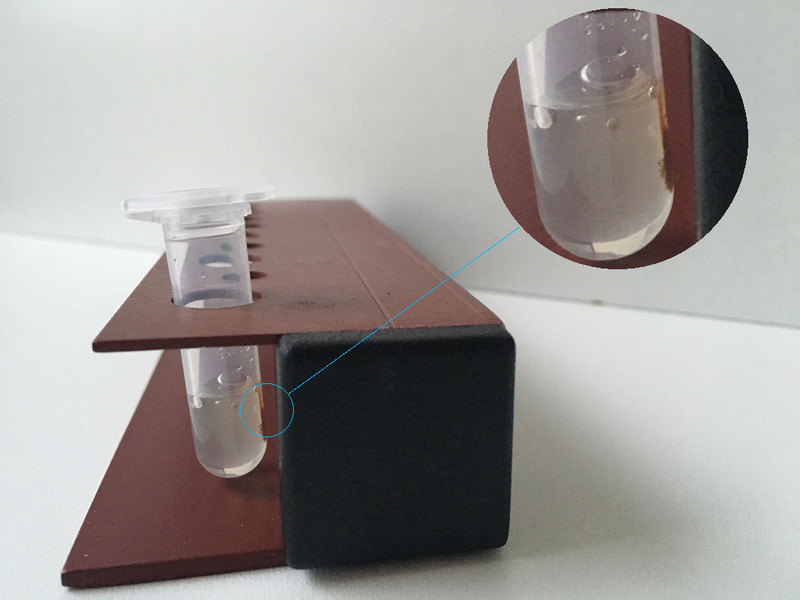 The kit contains also components for enrichment of white blood cells, hence one can save time and money for density gradient method. However one can also use density gradient method, if it is essential to isolate the cells. All kits are sterile products. 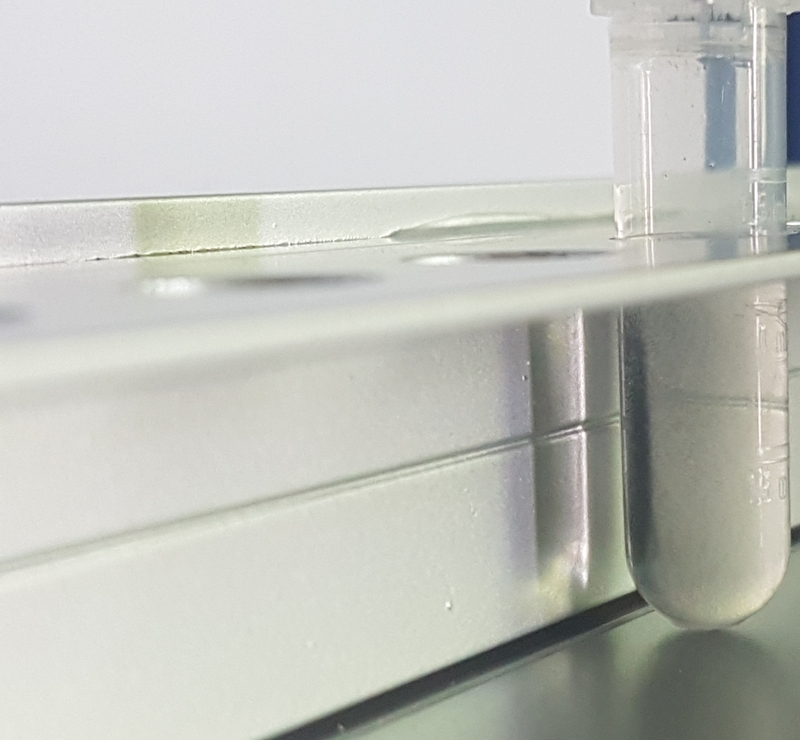 If the user will work under sterile conditions, there will be isolated cells as sterile product to be used for cell culture and future applications. 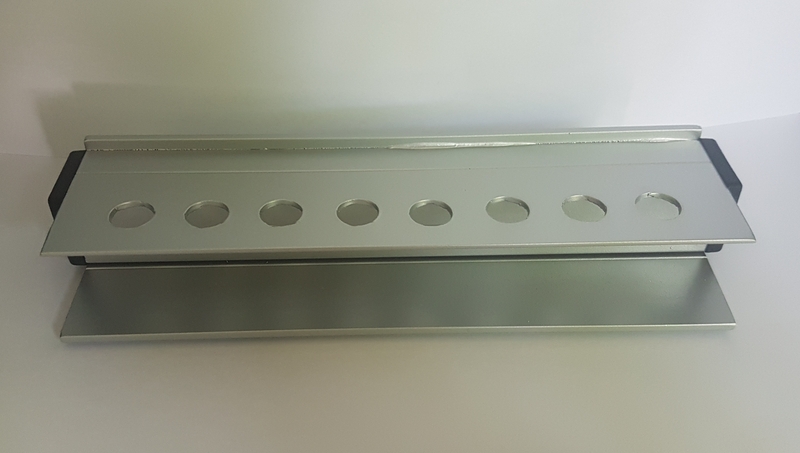 This kit is for magnetic bead separation of dead and live cells under laboratory conditions. The method is very simple. 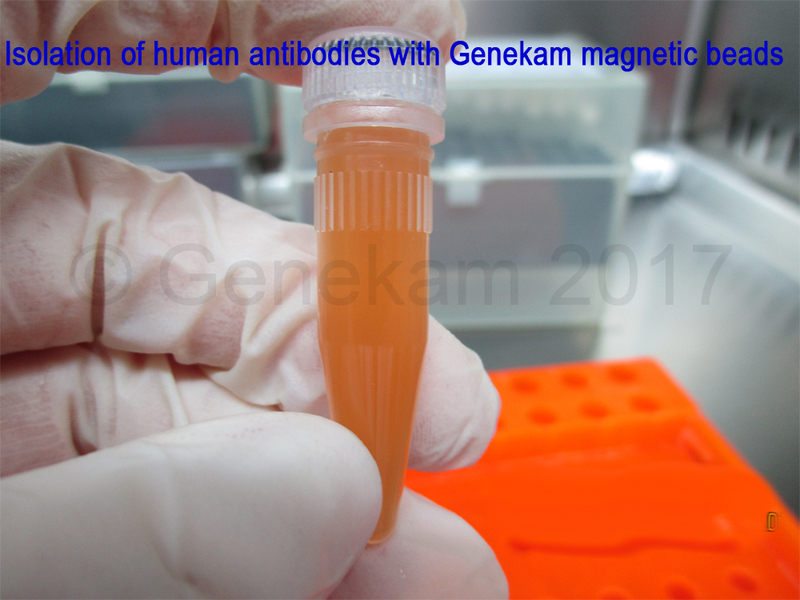 Add Genekam magnetic beads to your cells, wait for 10-20 minutes and separate the cells with magnetic field. Genekam beads with attach to apoptotic cells. The product is sterile. After that user can process the cells for further applications. This product can be used on different kinds of cells including stem cells and sperms. These products are developed and manufactured by Genekam Biotechnology AG in Germany.